History/Mythology: Obsidian is formed when lava cools so quickly that is doesn’t have time to form a crystalline structure and is also know as volcanic glass. 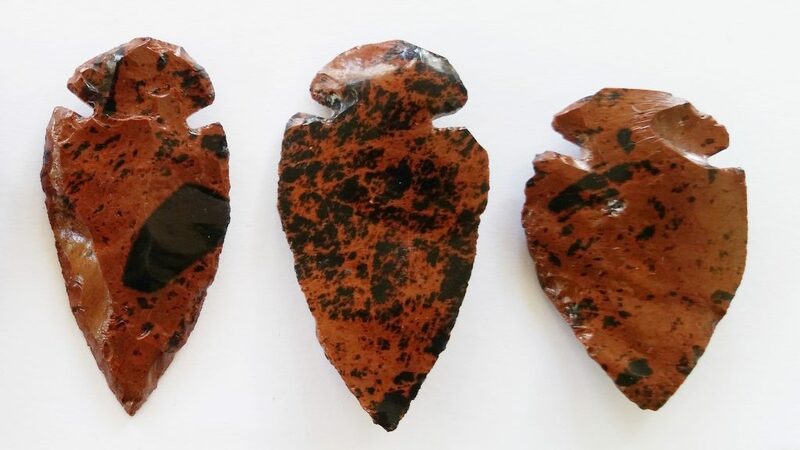 It has been found in some of the oldest know artifacts of man found to date and its uses range from some of the oldest mirrors to some of the oldest weapons. Healing – Cleanses blood and assist with circutory issues, Assists with regulating and easing discomfort of menopause, helps regulate the body temperature, assists with allergies. 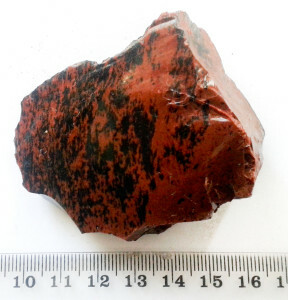 Mahogany Obsidian can be easily worn in jewelry for protection, change and grounding purposes. Used as a hand warmer or comforter when in need of comfort, grounding or protecting. Can be used in all meditations – particularly useful to gazing into in order to reflect on the changes that need to happen. Mahogany Obsidian is wonderful when doing healings on the Base Chakra area or issues involving the blood. It is a very grounding and protecting stone so can be used in meditations and healings for this purpose.